Welcome to the Top Notch DJ Service BLOG!! “You know, you have the most difficult job here at this wedding”, stated a wedding guests at yesterdays wedding that Top Notch was performing. “You have the tasks of determining what music we all like and getting us out here on the floor to dance, I bet that’s not easy, but I know you’re going to do a great job in doing it”, he continued. This particular guests statement did lead me to today’s blog topic concerning the items and questions a newly engaged couple should consider pertaining to their entertainment for a wedding. Yes, nearly every Dj will most likely list a FAQ (Frequently Asked Questions) on their website which usually consists of the same or similar generic answers to common questions, however in this post I intend on listing a few components any future bride or groom should highly consider when determining which Dj or band/artists to select for their “Big Day”. 1. Do not EVER Make the Decision Based On Price Alone - This concept is critical! 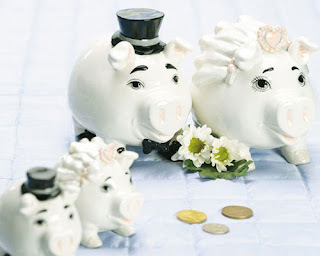 Yes, I realize there are wedding budgets, and alongside this specific budget is at times a specific amount that is allotted for a Dj, band or other form of entertainment. However, this is a wedding, a monumental occasion, and therefore the role of the entertainment which could make or ruin the entire event, should not be decided upon based on prices and rates alone. This concept applies to not only entertainment that may offer services at a very affordable price, but also the future brides and grooms that believe they must spend a small fortune on their entertainment in order for their entertainment to be “subpar”. The vendor chosen (whether it’s a band or DJ) should be determined based on further information other than pricing alone. Which leads us to item #2. 2. Interview, converse and consult (to avoid hiring the cheesy guy like the picture on the left) - Could you imagine desiring a lively, energetic and fun DJ for your wedding, only to learn that the day of your Disc Jockey is rather boring, wears a cumber bun, and cannot speak well on a microphone? Unless the entertainment that one is considering to hire has been already been witnessed in the act of performing, It is imperative before hiring that a future bride and groom interview, converse via skype, chat or consult face to face and simply get to know the personality(ies) of their entertainment vendor(s). 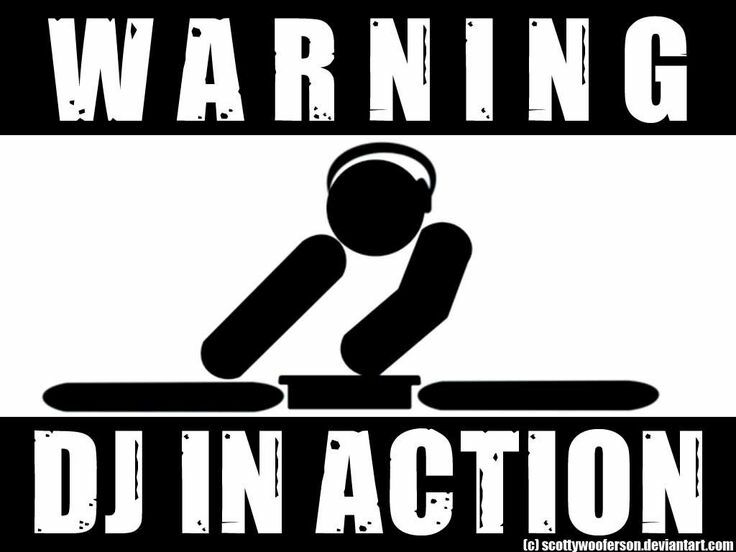 Hiring a Dj or band based on a referral or “because you heard they were good” is not sufficient information for forming this decision. Additionally, even though it is great to ask for references from a potential DJ or band that you may be hiring, the results of these references will ALWAYS be favorable to that specific vendor and will not allow you to form a personal opinion. Take time to interview your Dj or band, and understand their level of friendliness and charisma. Consider their character, their appearance and their overall personality to determine if they meet the expectations you may have for your wedding day. 3. 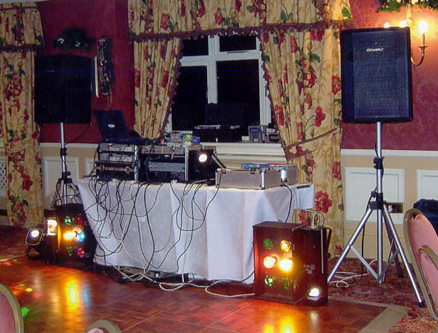 Can your entertainment play the desired type of music your guests will enjoy? - Let’s face it, if you pose this question to most DJ’s the simple answer that they will provide is “Yes”. The same will most likely be true for live entertainment as well. However, this is an answer that the bride and groom should decide in regards to their entertainment, not the other way around. 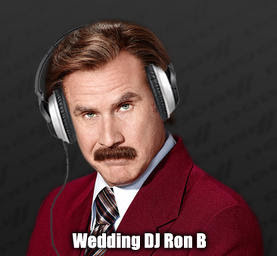 Not just any Dj or band would be appropriate for a wedding. In Contrast, we as Dj’s should be selective in determining which weddings and events we work, but unfortunately that is not always the case. This question boils down to your guests and your specific musical preferences as well as your Dj or bands musical knowledge in those specific musical genres. For example, Top Notch DJ Service does not perform Spanish events as we simply lack the musical knowledge in knowing what songs to play to keep guests at these events on a dance floor. In comparison, I know many live bands that are offering to perform the musical selections they know meanwhile offering to play more dance style selections from their laptop or Ipad as the evening progresses; the issue with this method yet again boils down to musical knowledge. Even though these bands have a number of great songs in their musical library and even on their Ipad to play, they are unfamiliar in knowing what musical selections to play in what order and how to flow the musical selections in a way that keeps guests dancing. It is for this reason that a bride and or groom should truly inquire and ask themselves if their form of entertainment truly comprehends their musical preferences. entertainment for an event, but it is certainly something to consider for 2 reasons which are 1. The space that the entertainment will require at your venue and 2. The overall appearance that your entertainment portrays. I think Reason #1 is pretty self explanatory. By becoming familiar with the space required for your entertainment, you can determine where to place your vendor at your venue, or even if the entertainment is appropriate for the size of your wedding. For instance, a 10 piece live band would certainly not be necessary for a wedding party of less than 100 which will be taking place at a smaller style venue. Reason # 2 on the other hand is often not considered in the decision making process, but is quite important. Consider the appearance of the entertainment’s set up, meaning, are wires everywhere and not hidden? Are they dressed appropriately? If any lighting is provided for décor or for entertainment purposes, are they placed appropriately on stands away from danger? Are pictures of available for you to review prior to hire? Wedding guests frequently can form confidence if they will dance or doubts concerning an entertainment prior to the start of a wedding based on appearance alone, hence the overall set up of your entertainment vendor is somewhat important when making this decision. 5. Determine who the Entertainment is for - Yes, this is a serious question to consider for your wedding day which should be addressed prior to making a decision. 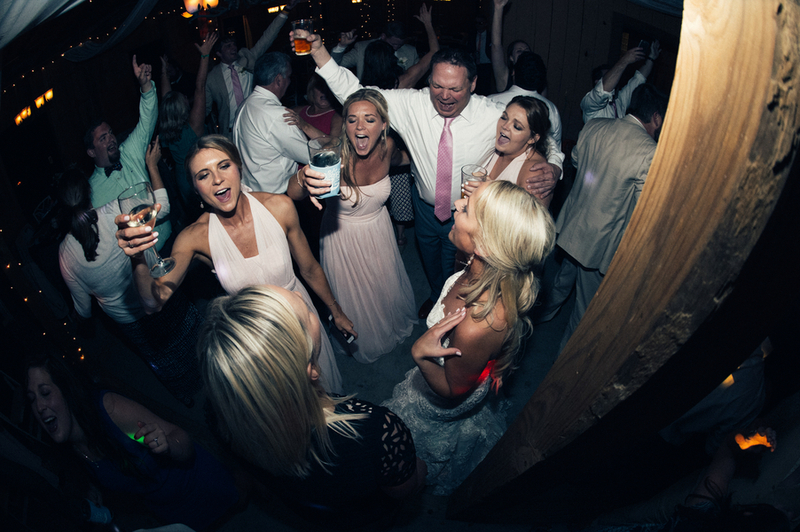 Will you and your fiancée be doing most of the dancing, or will your wedding guests? If your answer to the above is “both” then certainly hire a professional that you think would be a great fit to accompany all musical preferences involved. In the case of the wedding I personally performed yesterday evening, the wedding guests that made the statement mentioned above was most certainly on the dance floor for the majority of the evening, however, the bride and groom (who weren’t big dancers) spent a large majority of the dancing portion of their reception conversing with guests and taking photographs. In their particular case, they desired for their guests to dance and have a great time, hence I played music tailored to the wedding guests, not the musical preferences of the bride and groom. Who knew deciding on the entertainment vendor for one’s “Big Day” could be so difficult right? The above mentioned factors are all items that one should truly keep in mind alongside the generic questions that are we as wedding DJ’s and artists are often asked. The majority of us do take song requests, yes the majority of us carry back up equipment on site, we are fully insured, etc, but can we all offer you a musical experience tailored to your wedding guests musical preferences that you will never forget? Most likely, No. Interview entertainment vendors and review the above items of consideration for each before rushing into a decision for your “Big Day”. In the words of the late great Marvin Gaye, “Ain’t Nothin Like the Real Thing Baby”. It’s true! Or at least Top Notch would like to think and hope that when planning music for a party, wedding or event there truly is not a substitute for a live band or professional DJ. However, Top Notch also completely understands that not every event is large enough, nor may have the funds to obtain a live band or Dj. 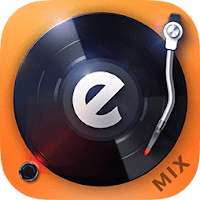 In this blog post, Top Notch reviews the Top FREE Mobile Dj Apps anyone can use to create their own play list and dance party. Are we telling you how to do our job? No, of course not! 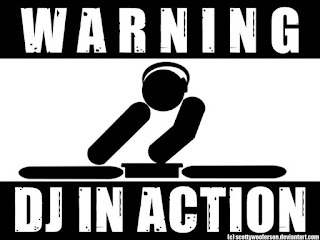 But If your next event does call for music and your local favorite Top Notch DJ is unavailable, we do hope that one of the applications listed below will be a mere substitute to a Disc Jockey. The research has been performed and the below applications are our favorite and simple applications that one can download absolutely free. We have made sure all of the applications listed below are available for both Android or Iphone operating systems as well. Now on to the list! 1. Cross DJ - created by Mixvibes. 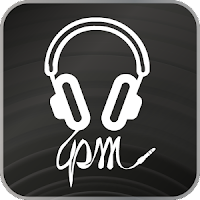 Thoughts: This Application is very easy to use and fantastic for the basic user that simply wants to play a basic play list for a party or event. 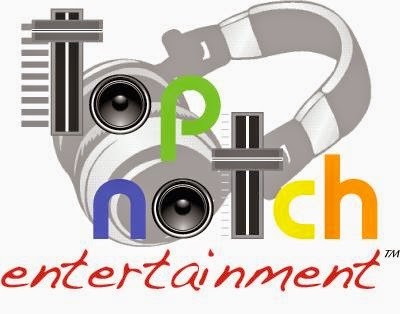 Top Notch personally loved many of the extra Dj style features this app provides such as Beats Per Minute measurements, Pitch Blending, and one can easily transition tracks between songs in this program. In Sum, any individual would have a blast simply toying with the creative, yet basic music programs that Cross DJ offers. 2. dJay2 - created by Algoriddim – Thoughts: This App is incredible! For starters, the application is not only free, but offers a Spotify integration which Spotify users will find extremely pleasing. Alongside that great feature, dJay2 actually allows the user to view 2 virtual turn tables and provides “cue” points (to let the user know when to transition songs), has an automatic mix feature, and even allows looping. Though some of these features may be a little advanced for some, Top Notch DJ’s found dJay2 to be the personal favorite DJ App on this list. 3. 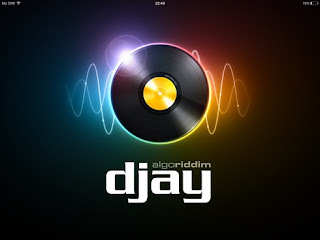 Edjing- created by DjiT- Similar to the dJay2 app, the Edjing App is extremely user friendly. 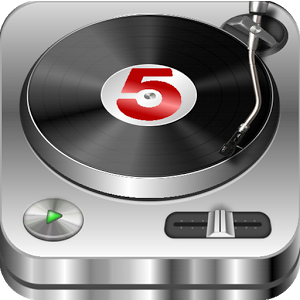 The large interface and virtual turntables make this app easy to comprehend and use accordingly. There are various versions of the Edjing App, however, the free version titled “Music Mixer Studio” should fit the trick for most amateur or rookie Djs. 4. DJ Studio 5 - Created by Beatronik. According to many forums and reviews, Dj Studio 5 is one of the most popular Dj applications accessible for both Android and Apple users. With that being said, it offers a tremendous amount of features and effects that initially could be very confusing. 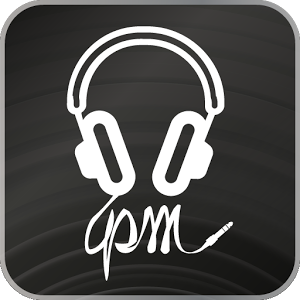 Additionally, this specific application does work alongside specific professional Dj mixers such as the iRigMix (aka actual Dj gear used by DJ Professionals) making this application a lot of bang for the buck,wait, there are no bucks because it’s FREE! 6. Strobe Light App - Recommended to Top Notch by local Raleigh friend Katie, one should not intend on throwing any dance party without this mobile party tool. A variety of strobe light applications are accessible for both Android and Iphone operating systems. The brand or specific Strobe Light application one chooses is irrelevant. 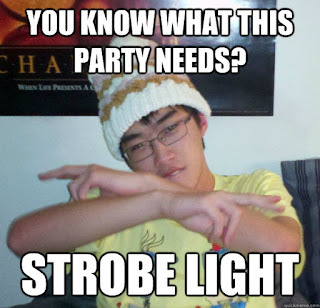 What is critical is that the Strobe Light application has been selected, downloaded to your device and is ready to go when it’s time to party! There we have it! 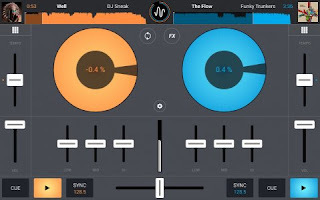 Top Notch’s list of the 5 best absolutely free mobile DJ applications. Thank you all for reading and please feel free to let me know if there are alternate music programs or applications that you prefer to work with not mentioned in this blog post. A time honored tradition since the 15th century, yet still a popular activity in today's wedding events. 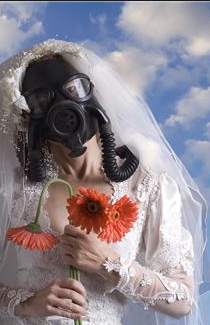 According to various historic sources, bouquets were introduced into weddings centuries ago for the shear purpose of masking a brides body odor on her wedding day. During this time frame, it was not uncommon for Europeans to bathe once a year (typically in May), and if a bride were to be wed, a wedding date was usually held the following month (in June). Additionally, as a wedding is a Bride's lucky day, it was thought that a bride was so lucky on her wedding day, that guests would literally tear pieces of her wedding dress as good luck tokens throughout the event. 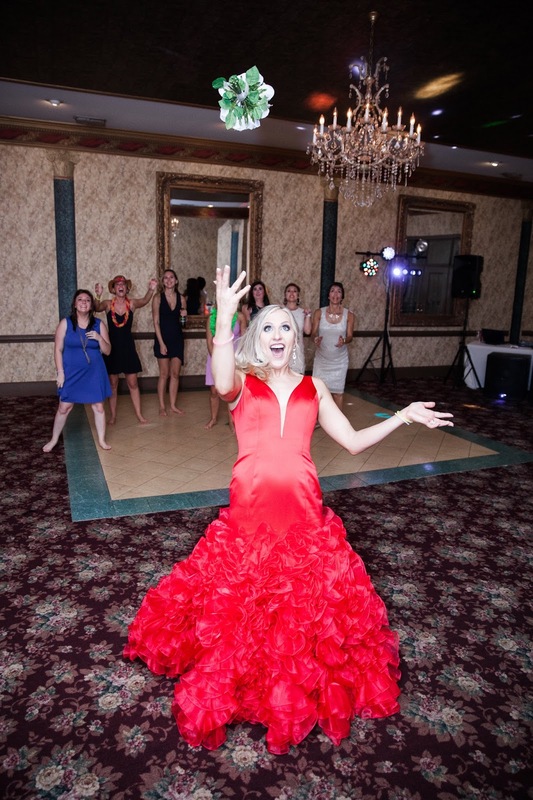 In lieu of having her wedding gown torn to shreds, a bride would often give away her bouquet to a lucky lady during an event, hence where the tradition of the bouquet toss originates. Obviously, in present times a bouquet no longer serves the same purpose as it did in the 15th century however, the tradition still remains a fun and even silly activity which also allows for a moment of “woman independence” in today's weddings. 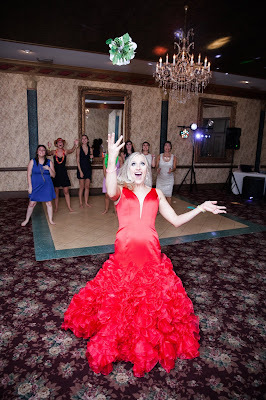 In order to keep the party going when the bouquet toss occurs, it is imperative to choose a fun, upbeat and entertaining song for the bouquet toss. 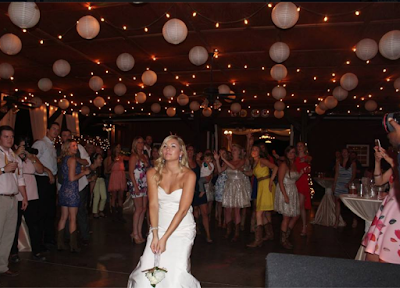 Below Top Notch has listed our top bouquet toss song recommendations. Whether you're looking for something comical (my personal favorite is “Move b...” by Ludacris as well as “Girlfight” by Brooke Valentine” or a song that says “Ok, ladies, let's represent” (such as Destiny Child's “Independent Women. Pt 1 or TLC's “No Scrubs) the below list should include a variety of the most requested bouquet toss songs received within the last few years.